Event organization is the first step to securing the perfect event. It involves researching, planning, directing and controlling all the factors that lead to having the perfect event. Event organization is indispensable—it can make or break your event. Therefore, it’s the most time-consuming part of hosting the perfect event, even though it’s all done behind the scenes. Organizing events comprises three ancillary services—event planning services, event management services and event coordination services. Regardless of the type and size of the event, these three sub-services are necessary for any event. Our seasoned event organizers have spent years perfecting these sub-services, and their execution, so we’re confident in our ability to organize events flawlessly. Our experienced event planners help our clients plan for their events. They help come up with an idea even if our clients don’t quite know what they want. Whether it’s coming up with the best venue, how to entertain guests, decide on a theme or the details of the event, our event planners are here to help. Our event planners spend much of their time speaking to clients, location scouting, involving vendors and third-party contractors and much more. All this for the convenience of our clients. This is the execution phase. After our event planners draw out the event, our veteran event managers take over the event and make the magic happen. 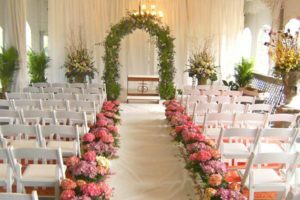 They handle everything from event marketing to event hosting on the big day. They’re the ones who direct the waiting staff, oversee event security, ensure that the guests are being entertained. In summary, they meet our client’s goals for their event. This service acts as a bridge between our clients, vendors and ourselves. Event coordinators at Events by Vivid work tirelessly around the clock to ensure that all channels of communications remain open and that the flow of information takes place at all times. Without this invaluable service, there will inevitably be multiple points of breakdown in the services we offer. Vendors might not provide enough food and drinks, the staff working at the event might be under-manned and guests might find that there aren’t enough seats to go around. We can avoid all this with our excellent event coordination services.